Encountering Him at the burning bush in Exodus 3, Moses asks God His name. God responds with, “I AM WHO I AM. Say this to the people of Israel: I AM has sent me to you.” This unusual phrase summed up God as distinct from all other gods and deities worshipped in the ancient world. Later, in the Gospel of John, in response to the people asking Jesus, “Who are you?”, Jesus makes several "I Am" statements. He declares, “Before Abraham was even born, I Am! ", boldly claiming to be God and defining Himself in the same way that God defines Himself to Moses. 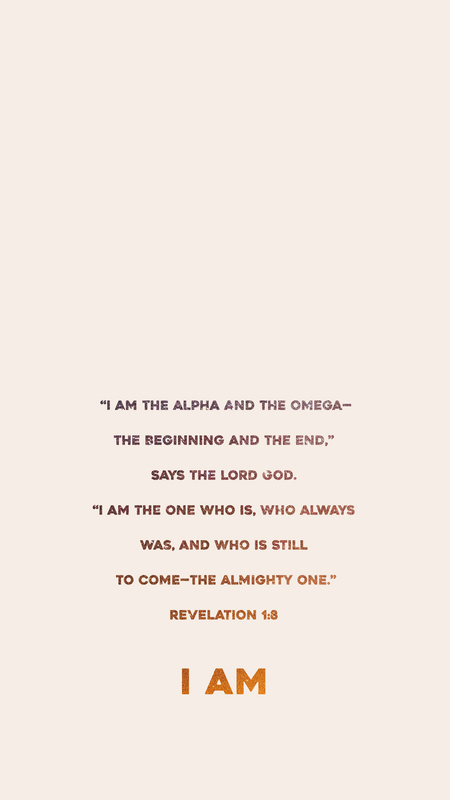 With deep roots in the Old Testament, each “I Am” statement reveals the all-encompassing power and identity of God. 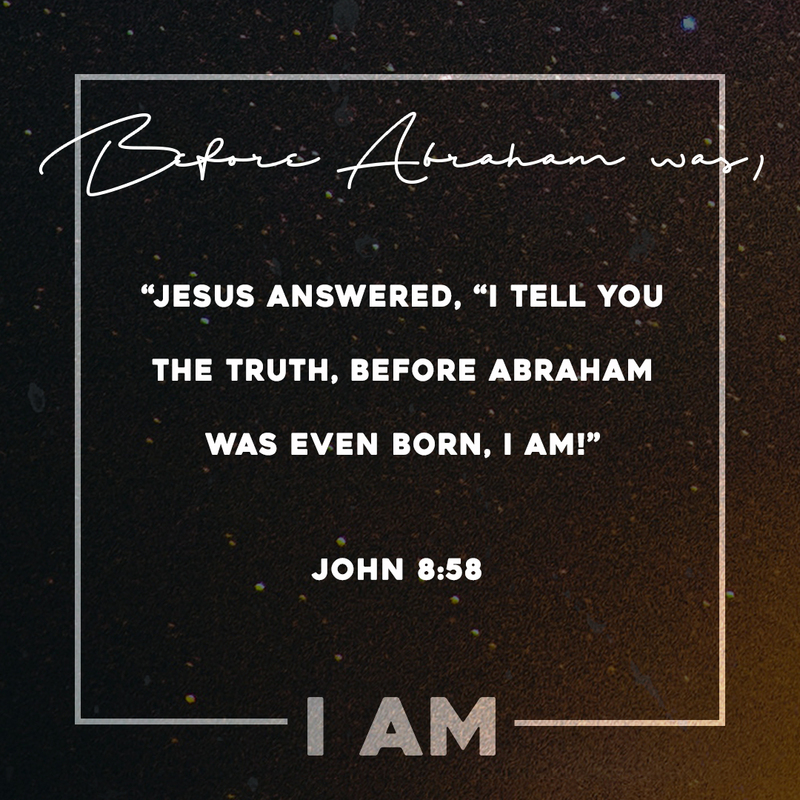 WEEK 3: Before Abraham was, "I Am"
Before Abraham was, "I Am"
Jesus identifies Himself with the Father as He boldly claims “I AM” in the same way that God revealed Himself as “I AM WHO I AM” in Exodus 3:14. The first of these statements begins with Jesus speaking to a large crowd who is struggling to believe in Him. 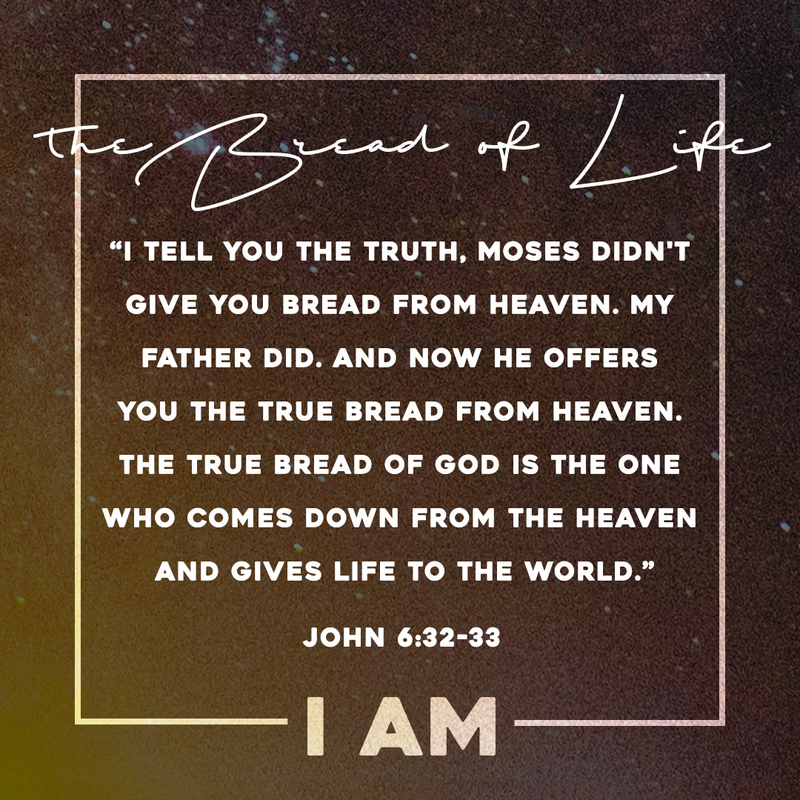 While they are looking for God to perform for them and give them earthly bread, Jesus gives them an alternate understanding of who He is when He claims, “I am the bread of life.” Instead of a God who tends to the needs of our earthly life alone, Jesus reminds the crowd of people that He is the source of true, eternal life. The crowd of people that Jesus is talking to in John 6 are searching for a god who will perform for them—who provides immediate earthly needs. How have you had similar expectations of God recently? For what have you demanded immediate gratification instead of looking to Him as the source of true life? The people brag about receiving manna, which only temporarily sustains them physically and ultimately doesn’t give them life. What temporal thing have you chosen to put your hope and trust in? What is it that you treat as your “manna” (e.g. dreams about what your life should be; your beauty; your strength; your money; your spouse, family, or relationships; your retirement; the status that you have acquired; etc.)? Everything meaningful to us in this world will in some form leave us or we will leave it. We are in need of a stable future—a life beyond death. Are you certain of your future? 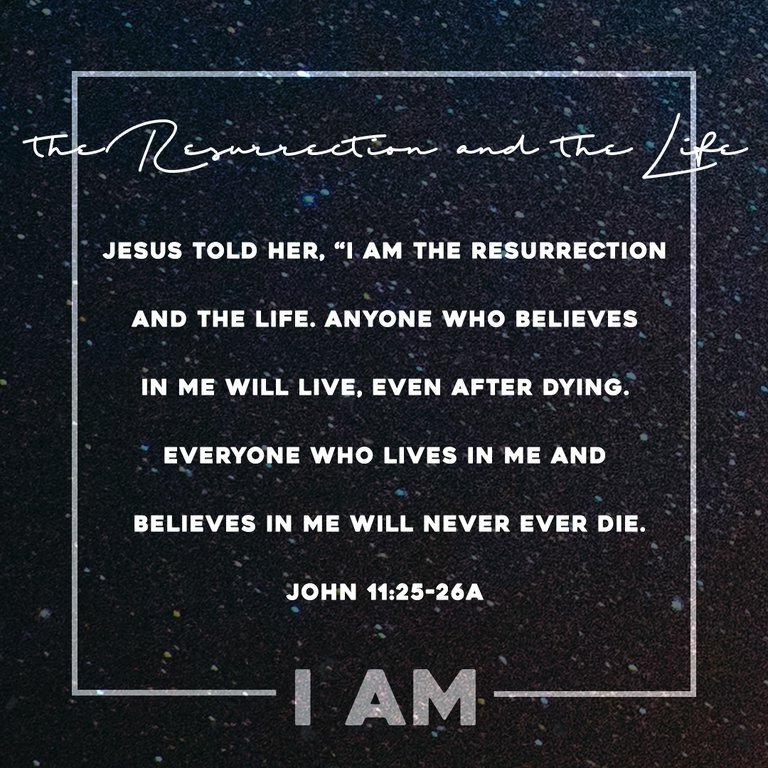 Do you believe that Jesus raised from the dead so that you may truly live? What does it mean to you that Jesus is the bread of life? What would it look like to build your life on Jesus? In John 6:39, Jesus says, “And this is the will of him who sent me, that I shall lose none of all those he has given me, but raise them up at the last day.” Here we see that there is an exchange between the Father and the Son of a precious gift—the gift of His children to Jesus while we are on earth. As believers, we can be encouraged that Jesus will keep us and protect us until God raises us up. John 6:44 says, “For no one can come to me unless the Father who sent me draws them to me,” reminding us that in our nature we are so bent, broken, and isolated from God that God has to come after us. Instead of getting caught up in the further meaning of this verse, we are simply assured that we are in desperate need of someone besides us to be in charge of us—and God comes after us. We all build our life on something—but only One can bear the weight of our souls. Because of our own brokenness, this world is full of darkness. 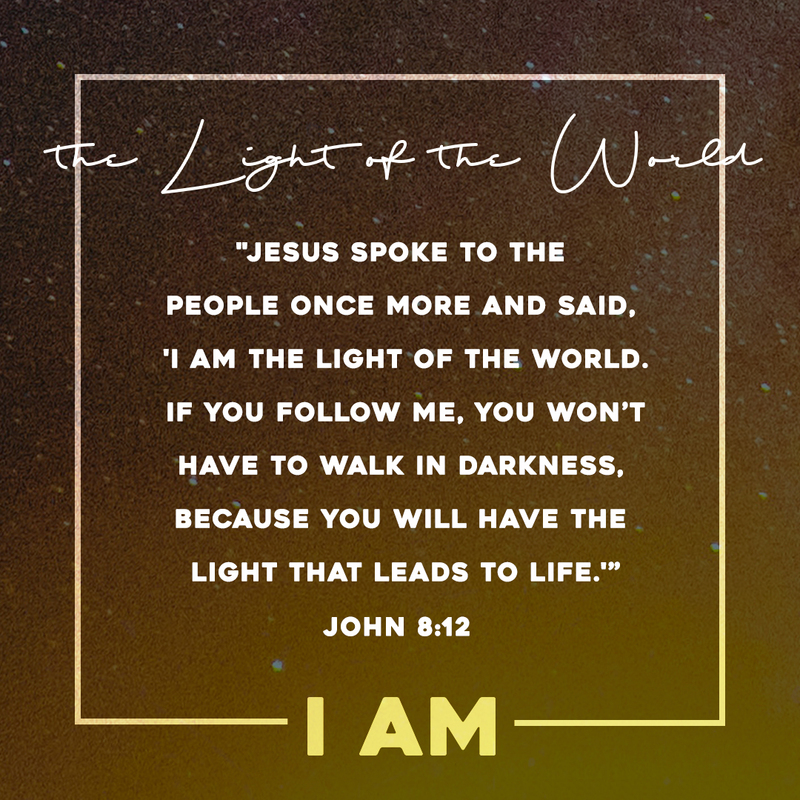 While we run to many distractions and quick fixes to find light, we can only find true light through one source: Jesus is the only One who exposes what is in the dark, guides us through darkness, and overcomes the darkness. In order for Jesus to expose, lead us through, and overcome the darkness, we have to recognize that we are living in darkness. When did you first come to acknowledge the darkness of your heart? Jesus is the light that reveals and exposes what is hidden in the darkness. What is hidden in your life that you need to let Jesus expose? Who are you going to talk to that can help bring it into the light? We are not comfortable acknowledging or thinking about the darkness in our hearts, so we are easily distracted. What are you easily distracted by that keeps you living in a superficial realm? How can you move forward in bringing what is in the dark to the light? What is one distraction you can remove from your life that is keeping you from confessing sin? There is only one light that leads to salvation and that is Jesus; however, we tend to run to what temporarily fixes the darkness rather than what overcomes the darkness. What do you run to that is just a temporary fix? The darkness and brokenness we see in this world are just a reflection of what is rooted deep in our own hearts. The greatest darkness is the lack of the knowledge of the good news of Jesus Christ. Jesus is making an exclusive claim to divinity—He is THE Light, and He alone will be the One to expose what is in the darkness. In John 8, Jesus is speaking to a group of morally-upright people. They have checked every box and followed every religious rule, yet Jesus responds to them in an unexpected way. He challenges their perspective on how they try to receive Jesus on their own terms, identifying the true standard by which God evaluates character and warning them against finding their identity in Abraham rather than in the One who was, is, and will be. "This section of the discourse is addressed to those who believe and yet do not believe. Clearly they were inclined to think that what Jesus said was true. But they were not prepared to yield to Him the far-reaching allegiance that real trust in Him implies. This is a most dangerous spiritual state." When Bill first read this quote by Leon Morris, what was your initial reaction regarding how how accurately this represents your faith and spiritual state? After reflecting on the quote, in what ways do you feel or not feel prepared to yield to Jesus the far-reaching allegiance that real trust in Him implies? What does this look like in your own life? While Jesus holds Himself out to the people, they reject Him because they are unwilling to accept the reality of who they are in their own minds—it is a part of the human condition to live constantly deceiving ourselves of our own frailty and sinfulness. In what ways do you distract yourself from the reality of who you really are? How have you seen in your past the ways you can deceive yourself of your brokenness? A person’s character is revealed by how he or she responds to Jesus. Jesus explains that the issue is not intellectual, or even theological, but rather willing unbelief. In our natural state, we are unbelieving. How are you currently struggling with unbelief? Do you respond to Jesus in humility and understanding of your brokenness or in a posture of defensiveness? How do you try to negotiate the terms by which you follow Jesus instead of accepting Him as He is? In what ways do you attempt to dumb Him down so that He is less threatening and easier for you to understand? What is the thing you try to make of Him (e.g. a “family values Jesus,” a “social justice” Jesus, a “God and country” Jesus, a “prosperity Jesus,” etc.)? Everything that is flows through Him. Your character is not revealed by your external or cultural conformity to some standard but by how you receive Jesus on His terms. Our hope is not that we can justify that we are right, but to know we are free because the Son has set us free. We crave something so much greater than what this world can offer. 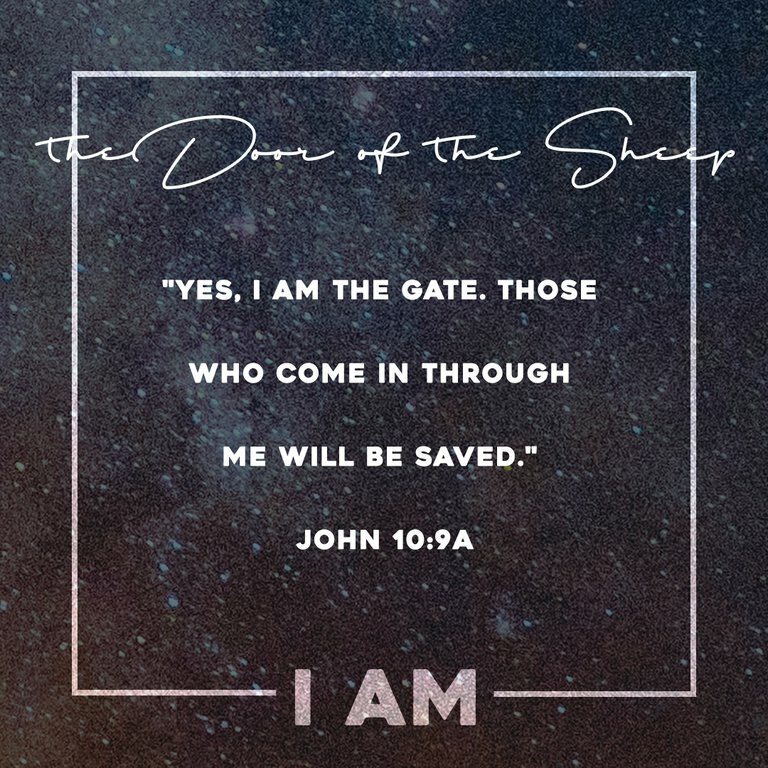 In John 10:1-10, Jesus reveals Himself as the access to what our soul craves—He is the door. To communicate this truth to the Pharisees and explain how He interacts with His people, Jesus uses the imagery of a sheep pen. Like sheep, we are not self-sufficient and we are created to hear the personal voice of our Shepherd. We are helpless when left to ourselves. Like sheep, we need a shepherd and sheepfold; for us, this means biblical community and a local church. As followers of Jesus, need to make a structural and systematic commitment to both of these. It is possible to be in some form of community and not actually practice community. Are you hiding in plain sight? 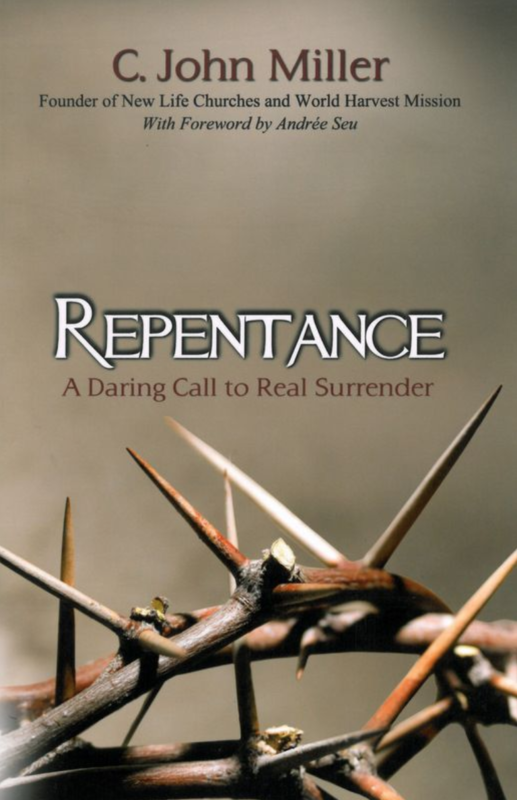 When was the last time you exposed something about your sin that required courage to do it? When is the last time you challenged someone else to do that? God speaks to us in a personal, customized way that is tailored for our souls— giving us direction on what it means for us, individually, to move. How is Jesus speaking to you that way? We are responsible to respond and act as Jesus speaks to us personally. What are the core one or two areas of your life where you are being called to move? Jesus is the door to the only life that satisfies our souls. Because God is our Creator, we have to humble ourselves and trust that he knows how to satisfy us. While we are tempted to indulge in sin and must humble ourselves to pursue satisfaction in Jesus, we have to trust that only He can give us true life. What are the false doors you are looking in for satisfaction? What does it look like to shut those doors? In this passage, the door is a symbol of access to God. It is only when we recognize that a door is shut that we value an open door. In the same way, we have to recognize our sin problem and separation from God a for us to value the gospel. Jesus is the only way to deal with the brokenness of our souls. God’s grace does not excuse justice but fulfills justice. He is very inclusive about who salvation is offered to but exclusive about how. If you are not a believer—have you stopped the distractions enough to think of the reality of God, sin, and death. What you are doing with the truth that you have heard? 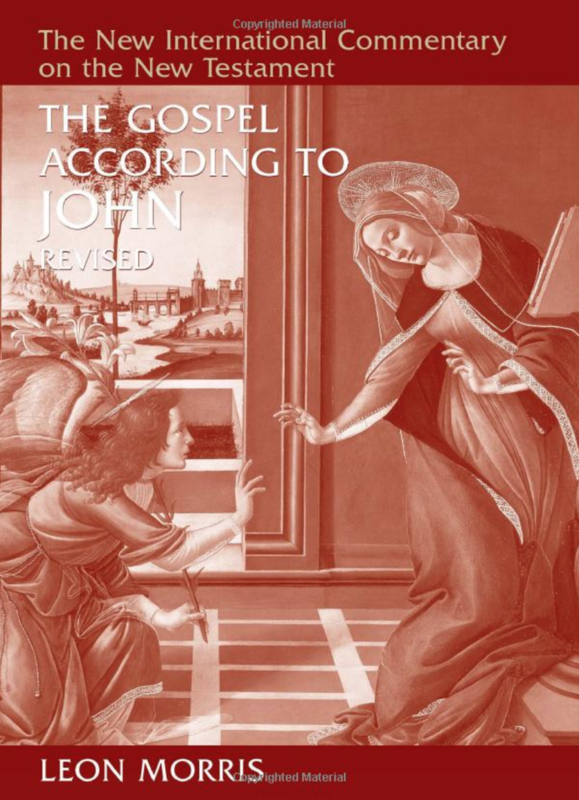 Throughout the Gospel of John, Jesus continues to announce His Deity and gives us a glimpse of how we know His claims are true. 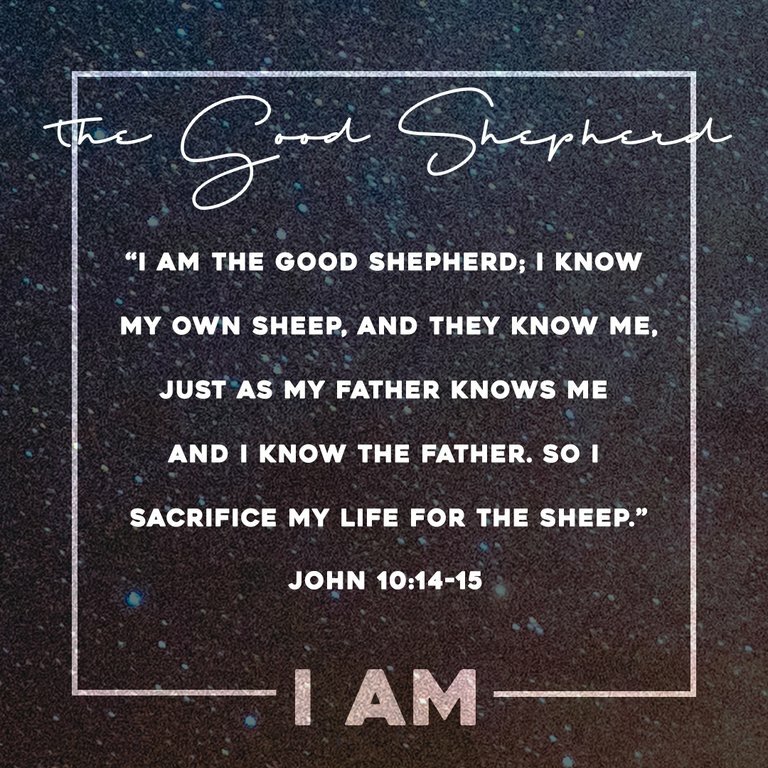 As He speaks to the self-righteous and self-interested Pharisees, He reminds us that we are sheep, helpless and vulnerable, and assures us that He is Yahweh, the Good Shepherd. He is not one of many shepherds able to lead us—He is the Good Shepherd. We need to identify ourselves as sheep—we are needy, stupid, and dependent. Our limitations and brokenness point directly to our need for a Shepherd because, apart from Him and His guidance, we can do nothing (John 15:5). What is your natural reaction to being called sheep? What experiences in your life prove you to be a sheep? What circumstances do you need to currently surrender to the Good Shepherd and stop trying to manage on your own? We can be tempted to treat Jesus like tech support, calling on Him when we are in a bad season. When has your relationship with Jesus been characterized this way? Why do you think you do this? How is this rooted in pride? We are not promised a “good” life but we have been given the Good Shepherd; Nowhere in the Bible are we promised a pain-free, comfortable, and prosperous life on earth. On this side of Heaven, there are many false shepherds vying for our allegiance and attention that promise the “good” life we think we deserve. What can you identify as your false shepherds? In what area of your life do you need to turn your hope over to the Good Shepherd? Some false shepherds seem obvious with teaching that immediately doesn’t line up with Scripture, but are we able to discern the lies from someone who downplays sin, subtly reinterprets the gospel, or skews Scripture to promise a good life? How have you been blind to these deceptions in your own life? Do you have a realistic understanding of your own brokenness and need for Jesus? How do you know? The Good Shepherd knows us. As believers, we get to know His voice and experience life change. Through Jesus’ responses to Martha and Mary’s questions in John 11, we learn the way in which God intentionally and purposefully loves us. Although it is not always the way we think we ought to be loved, Jesus reveals His personal, patient, deep, powerful, and victorious love for His people. What is a situation in your life where you thought: if God really does love me, why would I experience pain in this way? Based on the way in which Jesus reveals the love and character of God in John 11, how might God have been loving you through that circumstance? Looking back, how was your definition of God’s “love” during that time different than God’s terms of love? Even in the midst of Martha’s suffering, Jesus didn’t say: “I’m going to fix this.” Instead, He asked her if she believed in Him—if she trusted Him. God cares more about the orientation of our hearts than the outplay of our circumstances. In what ways does this apply to your life now? In what area of your life is your heart not oriented around trust in God? Jesus is committed to us not going to anyone else to solve our problems because He knows that He is the only solution. Who or what of this world do you try to grab on to in order to solve your problems? Have you experienced the person of Jesus? What might He be trying to reveal to you about His love and relationship with you? In the midst of our struggle, Jesus weeps for us. While we weep for what we have lost but have no control over, Jesus weeps because, although He does have control, He so identifies with our pain. The very thing that causes us pain and suffering is oftentimes the very way that God is showing us His love and presence in our lives. When Jesus’ power is questioned, He responds by bringing Lazarus back to life; He solves our greatest and deepest problem. He doesn’t just cure people, He resurrects them to eternal life. Once we fix one problem with a person or thing of this world, we’ll feel good for a time, but there will always be something else. Only the person of Jesus can truly solve our greatest need. Be wary of how you might be “playing church” but missing the experience of Jesus and the relationship with Him. Through different phrases, explanations, and contexts, Jesus continues to reveal His Deity to His people. He reassures us to look to Him for stability and security, knowing that He is the Way to the Father, the Truth that reveals who God is, and the Life that goes beyond this world and into the eternal. 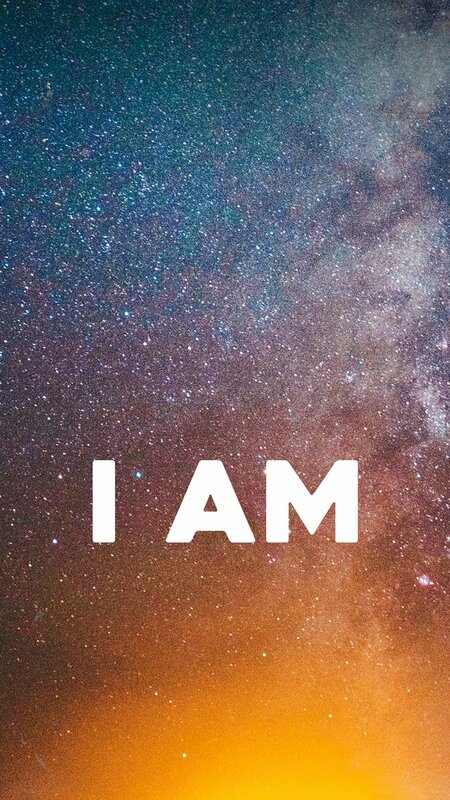 The “I AM” statements help us deepen our understanding around the magnificence and mystery of Jesus. What have you learned so far about the magnificence of Jesus? What questions do you have surrounding who He is revealing Himself to be? Jesus commands us to not let our hearts be troubled and to trust in both the Father and in Jesus. There is a relationship between our anxiety and trusting God: when we trust ourselves with things beyond our capacity, it fuels anxiety, but when we trust God with things we realize are bigger than us, it fuels peace. In what area of your life are you trying to trust yourself instead of God? How can you move towards peace and trusting Him? In our world, we put too much pressure on this life. We expect peace, happiness, kindness, love, and stability that this world cannot give—the world cannot come through on the things we crave deep in our souls. Only eternity with our Creator will reconcile our deepest desire. We have to shift our expectations and look past this moment to fix our eyes on the stability of our eternity with Jesus. What do you expect from the world that it cannot give to you? When you fix your eyes on eternity, how does your perspective change? In John 14:1, Jesus says “Don’t let your hearts be troubled.” Notice that by stating this, Jesus calls us to lead our emotions. We are not slaves to our heart and emotions, but through Jesus have the ability to control them. Thomas is humble and honest with his questions. This is the kind of humility that Jesus responds to—He came for those who are humble enough to know their own brokenness and ignorance and present to God their questions. Jesus is the Way and at the same time the destination. If you want to hold on to the Father, you need to hold on to Jesus. Jesus is the only One who is qualified to both stand in the line of fire for us and redeem us. He is the perfect substitute and the only access to God. The Father and the Son, along with the Spirit, exist in perfection and cannot be separated. To help us understand more fully and plainly our dependence on Him, Jesus introduces the idea that He is the Vine, the Father is the Gardener, and we are the branches. As branches, our only purpose is to produce fruit as we stay connected to Jesus, the source of life. The Father’s purpose is to make sure the branches produce the fruit that He needs them to bear; therefore, what matters for us is what the Father wants to do in our lives not what we want to get out of our life. Where is the Gardener producing fruit in you? How has this looked the same or different than what you wanted for your life? When we wake up in the morning, our focus should be one thing: how to stay connected to Jesus. To do this, we must get rid of distractions and hindrances that keep us from getting to Him. What keeps you from staying connected to the Vine? What do you need to change to order your life around things that connect you to Jesus? Bill White challenged us to build our lives around the structure of love rather than the feeling of love. What do you think he meant by this? How were you challenged by the examples of what it means to truly love others? We do not know what needs to be done to accomplish God’s will for our lives, therefore we have to trust that the Gardener will carry it out as we stay connected to the Vine. The Father’s will is that we bear good fruit, He prunes us for the harvest that He will reap, and He does what is necessary to produce the fruit He wants. We don’t always have a felt sense of the presence of God, but we can lay aside the hindrances and distractions that keep us from being connected to Him. If you read your Bible and feel hollow, it may be because you are structuring your life around yourself instead of loving people well. When you give your life away, it is more natural to stay connected to Jesus. Although Jesus is hidden to many, there will come a time when He will be hidden to no one. In Revelation 1, the Apostle John speaks to this event, reminding us of God’s transcendence over all of creation, time, and eternity. As humans, we are slaves to the moment. If grace and peace depend on our circumstances, we will never find stability; true grace and peace come from God alone. What does His transcendence have to do with us having grace and peace? In what circumstances in your life do you need to be tethered to the One who brings grace and peace and believe that God is both in the moment with you and sovereign over all? God has made us priests in this world, advocates for those who don’t know Him, and gives us work to do as His ambassadors. In what ways are you tempted to just “hang out” as a Christian? What work do you need to do to serve God’s people? What does it look like for you to live like a priest? Matt reminded us that there is an event coming that will be great for some and not great for others. Those who have rejected Jesus are not ready to meet Him, and it will be a day of rejection and mourning instead of a day of celebration. Do you trust in the ultimate ruler who created you and gave up His life so that you can live? As Creator, God is able to restore everything that gets lost or corrupted in our sin-filled, fallen world. Our status as sinners is incredibly personal to the Father; we were His enemies, yet He made the conscious decision to lay His life down for us so that we can live It is either His blood or mine pays for my sin. One day, Jesus will show up and reveal Himself to the world as the ultimate and final leader and ruler of the world. You reveal the true condition of your heart when you think you are in charge and believe you are accountable to no one.